Mega Sale! Save 22% on the Ancor 404172 Marine Grade Electrical Stainless Steel Cushion Clamps (1.75-Inch, 10-Pack) by Ancor at Tizimi Press. SKU: 50681. MPN: 404172. Hurry! Limited time offer. Offer valid only while supplies last. 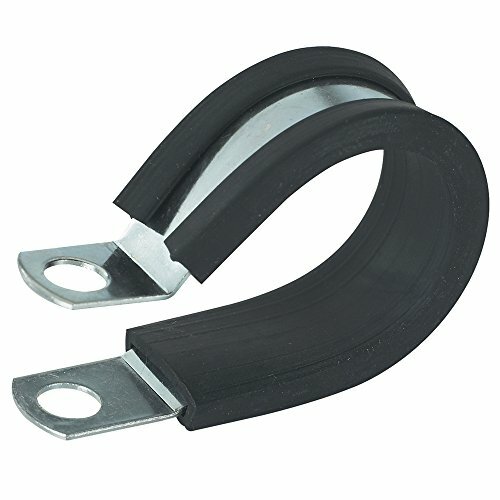 MARINE GRADETM CUSHION CLAMPS are temperature, water, fuel, oil and acid resistant. T304 stainless steel for corrosion resistance. Meets ABYC Specs. MARINE GRADETM CUSHION CLAMPS are temperature, water, fuel, oil and acid resistant. T304 stainless steel for corrosion resistance. Meets ABYC Specs. 10 per pack. Diameter: 1-3/4".